We work with construction teams to improve project delivery through the use of visual and collaborative planning. Freeform was founded in 2007 on the idea that 4D modelling is more than just a communication tool. With backgrounds in engineering and project management, we apply real world knowledge and experience that leads to improved project outcomes. These include improved time, change, risk and safety management. We are not a graphics company. We don’t have animations on our website. We don’t polish up our images, every image here is directly from our 4D models. We are completely focussed on using intelligent 4D modelling to solve problems and realise opportunities. We work closely with project teams, running workshop, review and update sessions to create 4D models that add value to the project and team. This process provides teams with deeper insight and improved decision support. Leading to more predictable, robust plans and sequences. We create models that are accurate, detailed, and importantly, easy to use. The models that we create are shared with the team during development, to encourage ownership and upskilling. We are based in London, working across the UK, and have completed over 300 projects totalling £40 billion. Our engagements vary from a few weeks to a few years, and we typically work with teams between concept design and construction. 4D modelling is a process that combines graphical and non-graphical project information related to time, resource and logistics management. It is a process that allows any member of a project team to have fast access and be able to input into, the project schedule and logistics plans. We encourage this access and build our delivery around 4D workshops and close collaboration with project teams. Timing is important, and successful projects benefit most when 4D modelling is developed early with the wider team engaged in the process. 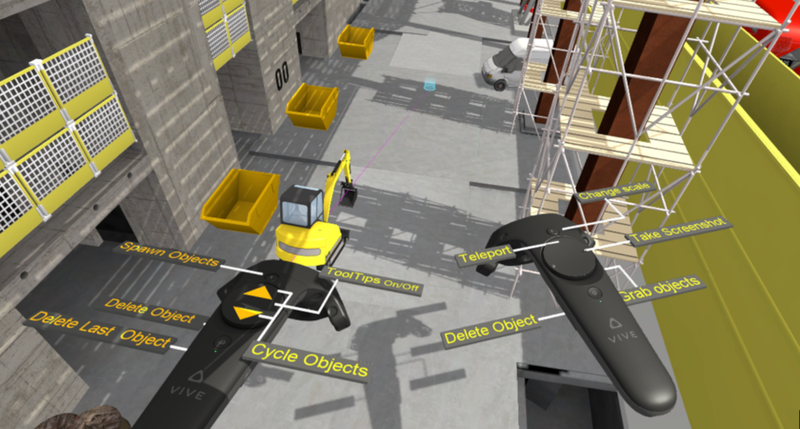 Virtual Reality linked to 4D shows great potential for improving safety planning and training. We have been developing VR for this purpose for the past 18 months. We believe that both planning and training are most valuable when specific to projects. Therefore the best way to create VR experiences is to start with high detail 4D models, adding specific tools, such as mark-ups and logistics creation for the VR users. In a fast moving space, we already have a large VR toolset and are live on a number of projects including Battersea Power Station and 22 Bishopsgate.